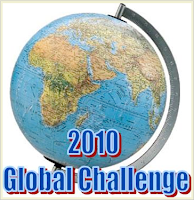 I was really excited when I found this challenge and signed up for the Easy Challenge, which is one book from each continent. As you can see, I read a lot of books for most of the areas of the world, but did best with Africa and Asia! Doing this post was a great process for me since it meant going back through the past year's posts to see what fit where. I really did a lot of international reading! What's even more amazing is that with all this reading, I still only managed to do the Easy Challenge since I only read one book from Australasia! I have to say I'm very impressed! So many different books from different continents around the world! Congrats Helen! Darlyn--I had no idea that I had read quite so many "international" books. Pretty fun! This sounds like a great challenge! You certainly read a lot of books! 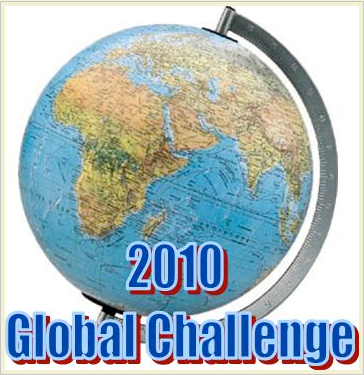 Booksnyc--This was a really great challenge; I learned that I loved books with an international setting.